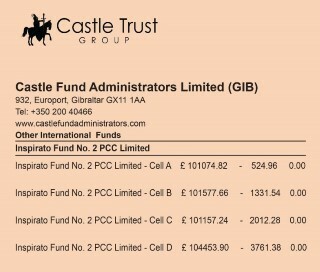 Castle Fund Administrators Limited (CFA) is a Gibraltar company fully regulated and authorised to provide fund administration services to investment funds. 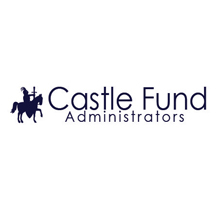 Founded in 2007, CFA was established as part of the Castle Trust Group which specialises in bespoke administration and management of Companies, trusts and bespoke international investment structures. The Group originally commenced operations in 1992 and licensed entities are audited by Deloitte. All Group companies are regulated and fully compliant with all applicable local and EU legislation. We work in conjunction with other members of the Castle Trust Group including Castle Secretaries Limited, Castle Nominees Limited and Experienced Investor Fund Directors. We are also a member of the Gibraltar Funds and Investment Association (GFIA). The Castle Group is affiliated with over 300 firms of accounting and financial service firms throughout the world. Having close work relationships with leading Law Firms and banks worldwide, the Group is well placed to service internationally focused organisations. CFA is licensed and regulated by the Financial Services Commission in Gibraltar under licence number FSC0955CIS. CFA provides a full range of fund set-up, fund administration and support services while delivering the highest level of professionalism to the marketplace. Liaising and negotiating with regulated entities to act as counterparties to funds.